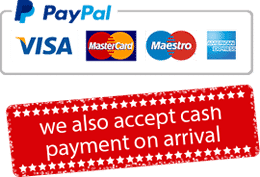 If we talk about the main reasons to visit Taj Mahal then there may be many answers we found from friends but here we are going to mention the major attractions to see it. When you enter Agra, you might get underwhelm, the first thought would be that it is a congested city with nothing “travel-worthy” about it. In fact, everything about it might seem quite ordinary till you remind yourself that this city is home to perhaps the most famous monument in the world. 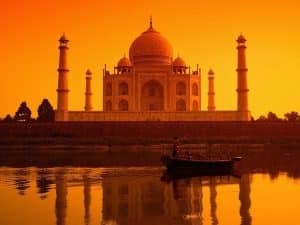 For many who have seen the Taj Mahal in movies or in magazines, or read articles about it, there is a charm and aura about it that grabs their attention. Add to that the fact that it is one of the most visited monuments of the world and it immediately finds a place in your list of destinations to see in India. 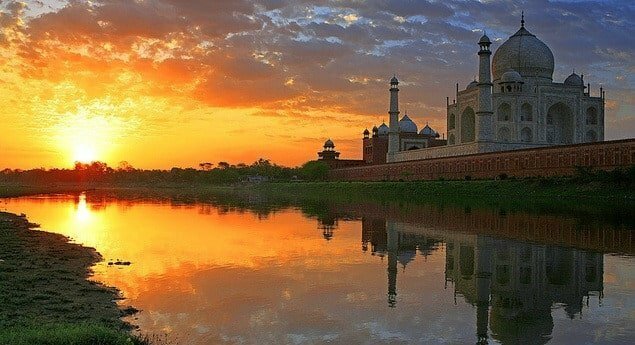 If you still haven’t convinced yourself for that trip to the Taj Mahal, we list 5 reasons why you absolutely must visit the Taj Mahal at least once in your lifetime. 1. The History: Mughal history is one of the most admiring in the world. The Taj Mahal is one of the expressive monument of the Mughal era as it was built by Mughal Emperor Shah Jahan back in the 17th century. It is a epitome of the grand royalty and lavish lifestyle of the Mughals. A visit to the Taj Mahal takes you back in time to that magical era giving your mind a virtual break from the current times. 2. The Architecture: The Taj Mahal is a breathtaking piece of Mughal architecture more than anything else. It is simply one of the most elegant monuments ever built. It is built completely of semi-translucent white marble and took 22 years for completion. You will see why it took this long when you notice the details of the marvellous, grand structure with an open mouth and an amazing heart. dancing or strolling around the Taj Mahal adds to its glamour quotient. 4. Wonder of the world and World Heritage Site The Taj Mahal has been part of several lists of important places in the world – being one of the seven wonder of the world. It has also been recognized as a UNESCO world heritage site. It is worthful to visit such a monument when you are in the country that holds it. 5. The Epitome of love Shah Jahan built the Taj Mahal for his second wife, Mumtaz Mahal, who died in 1631 whilst giving birth to their fourteenth child. All the effort, time and excellence involved in building this beautiful monument resulted out of the feeling of love that the Emperor had for his wife.So it could be worth saying that it is not just a marvellous creation but the feelings that come true. When you stand in front of the Taj Mahal with this in mind, you begin to experience an emotion close to the Emperor’s love itself. We hope you will like all the reasons to Visit Taj Mahal in India. If you are planning a Taj Mahal private guided tour then just fill the booking form below there.